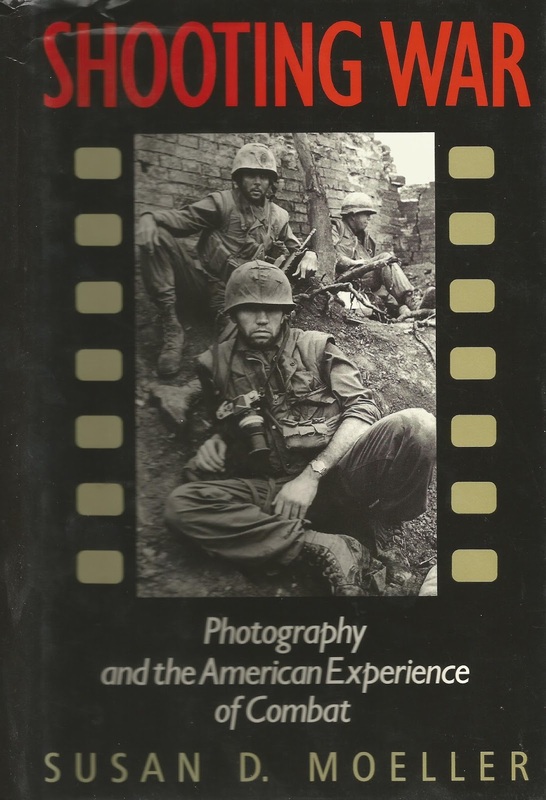 Susan Moeller's Shooting War (1989) still ranks as one of the most interesting and comprehensive studies on the history of American war photography. The best war photography, Moeller demonstrates, bares the essence of war by distilling the chaos of combat into indelible visual icons, like the flag-raising on Iwo Jima or the naked, napalmed young Vietnamese girl. When Teddy Roosevelt led his troops up the San Juan hills, most Americans still believed in war as a glorious adventure, and photographers dutifully memorialized that romantic conceit. Seventy years later, horrific images from Vietnam helped convince millions that war was little more than organized murder. Shooting War is full of first-hand accounts by the finest photographers who risked their lives in pursuit of the elusive "truths" of war. And although the book mainly deals with still photographers it did provide us with a lot of useful background information when we started our research on the American film cameramen of the First World War. 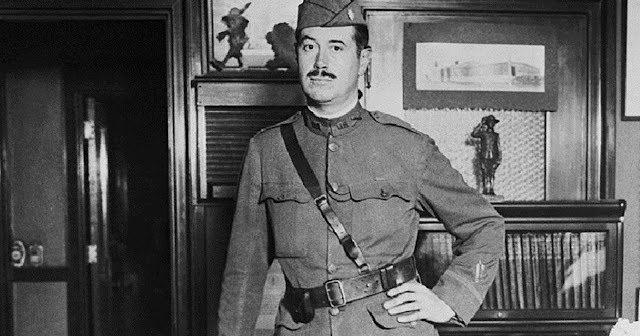 As described by Moeller, in contrast to the anything-goes attitude of the Spanish-American War, World War I saw the establishment of military censorship of information emanating from the battle zone. 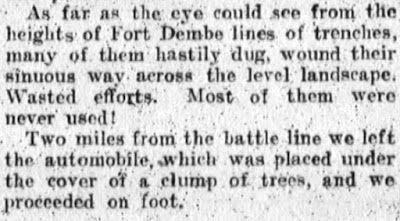 Where picture captions sent from Cuba in 1898 mentioned specific locations and dates, captions during the Great War invariably settled for such generalities as "Our Heroes at the Front." Subject matter was censored as well. 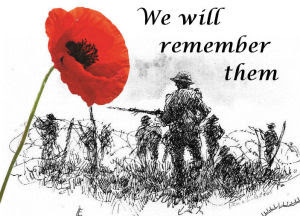 Photographs depicting the dead, the dying, or the wounded were suppressed, purportedly in deference to the feelings of those back home and, more probably, for fear of sparking antiwar sentiments. Here are some scenes from an interview with Susan Moeller which was broadcasted by C-SPAN when her book was first published. On May 28, 1918, Signal Corps cameraman Edward R. Trabold went over the top with the 1st Division of the American Expeditionary Force, taking combat pictures of American soldiers in action at Cantigny. The battle of Cantigny is best remembered now as the first major American offensive of World War I.
Trabold's personal story Counterattacking with a Camera on his experiences at Cantigny was published in 1919. He was by all accounts the first official U.S. Signal Corps photographer to take combat pictures of American soldiers during a major offensive in the First World War. Unfortunately, Trabold had to give his pictures to the Signal Corps. When he published his personal account he could not show any of the photographs that he had made during the attack, but reports indicate these pictures were of tanks and the men of the 1st Infantry Division storming Cantigny. The prints probably are still at the National Archives in Washington, D.C, and definitely merit additional research. During this assignment Trabold was accompanied by his commanding officer, Captain Paul Miller, who had been sent to Europe by the Signal Corps in May 1917 to report on the possibilities of setting up a photographic laboratory in France. Trabold himself is another interesting figure. Born in North Addams, Massachussets, in 1883, he started his first studio in 1906 with an old 4 x 5 Graflex camera as his principal piece of photography. Joined in the enterprise by his brother Peter, who had been teaching art, he specialized in producing photograph buttons, a novelty at the time, bearing pictures of loved ones and public figures. Trabold later became a newspaper photographer, working in Montana, and enlisted in the Signal Corps in 1917. After the war, Trabold became a newsreel cameraman for Pathé News, working in Omaha, Nebraska, where he had set up a new photographic studio. In the 1950s, Trabold was also active producing films for television. Trabold in Signal Corps photographic laboratory near Paris, April 1918. Picture from the collection of the National Archives in Washington, D.C. Shortly before his death in December 1955, Trabold corresponded with the Signal Corps on his photographic work during World War I. He was quite anxious to know if he was in fact the first cameraman to have taken combat pictures of the American Expeditionary Force at Cantigny. The Signal Corps after careful consideration replied that he probably was. Trabold appears to have taken both still and moving pictures when he was in France. The attack on Cantigny he only covered with a still camera. In his account Trabold mentioned no movie cameras were allowed because these would draw enemy fire. It still was a very dangerous job. Trabold was wounded by machine-gun fire and escaped from death by shells that were falling all around. At the end of the day he arrived at a medical station where his wounds were treated. On an interesting side note, Colonel Robert R. McCormick , editor of the Chicago Tribune, was an officer with the 1st "The Big Red One" Division during the attack at Cantigny. 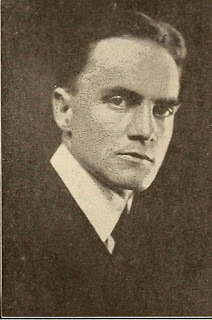 McCormick was instrumental in innovating his newspaper, and he worked closely with cinematographers Edwin Weigle and Donald Thompson on a number of contemporary World War I films that were released by the Chicago Tribune. You will find more on his work in our book American Cinematographers in the Great War. Here is an audio link with a speech by McCormick, commemorating the historical significance of the American attack at Cantigny. After his harrowing experiences at Cantigny, Edward Trabold was promoted to Sergeant 1st Class and transferred to the 6th Division, A.E.F. He was in the field as an official photographer from March 1918 until May 1919 when he was discharged from the Signal Corps. Here is a download link to Trabold's story Counterattacking with a Camera which was published in the Photographic Journal of America in September 1919. In an earlier weblog we mentioned our discovery of films shot by American cinematographer Nelson E. Edwards in June 1916, showing the German Naval High Command shortly after the Battle of Jutland. We recently came across similar footage taken by Edwards in the CBS Collection at the National Archives in Washington, D.C.
Edwards's film work in wartime Germany has been described in more detail in our book American Cinematographers in the Great War. He ranked among the first, pioneering newsreel cameramen in American film history. From 1914 Edwards filmed for Hearst International News Service and covered the Mexican Revolution. In 1916 he filmed the Turkish and the German side of the World War. He was also chief cameraman for Fox Newsreel during the year of its birth in 1919, and thereafter a longtime stringer for Paramount News. In 2016, we found four scenes taken by Edwards, featuring Admiral von Hipper and his staff, as well as Admiral Scheer visiting his flag ship Friedrich der Grosse. The footage is on 35 mm and the original negatives are from the Grinberg Collection. As it turns out, CBS also used the Grinberg Collection while assembling film for their World War I TV series in 1964. After the series was edited CBS in a magnificent gesture turned its unused footage over to the National Archives - a real boon for researchers. And that's how Edwards' World War I films ended up in the National Archives. The scenes that we located at the National Archives are on a reel with stock newsreels excerpts (CBS-WW1-75) that were not used by CBS for the TV series. These show Admiral von Hipper and his staff, as well as a close up of Admiral Scheer. The intertitle mentions Hearst International News Pictorial, the film company Edwards worked for. Similar scenes shot by Edwards were used by CBS in the World War I TV series. 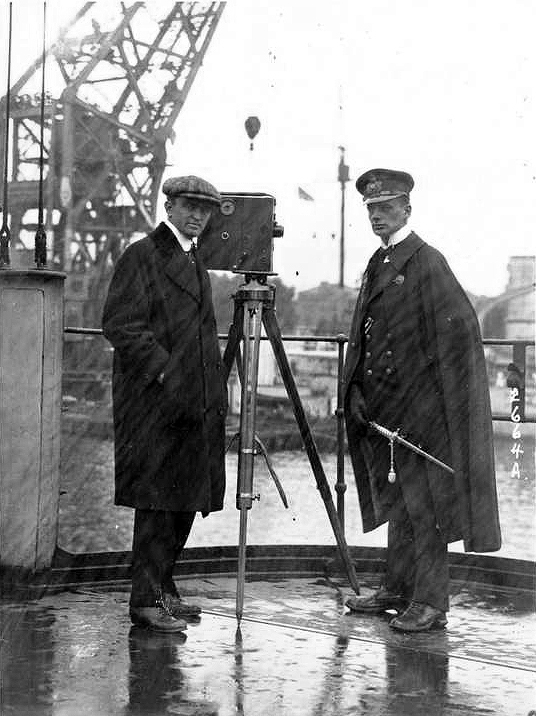 Episode 7 on the Battle of Jutland in the CBS series has a scene showing Admiral Scheer boarding his flag ship, as well as a shot showing Scheer and his staff, posing for Edwards' movie camera. We have uploaded the outtakes found at the National Archives, as well as the scenes from the CBS TV series that were used, on our YouTube channel. On July 1, 1918 America's first official war newsreel was launched. Distributed in the United States by Pathé, the Official War Review contained scenes from wartime Europe, shot by military cameramen of the U.S. Signal Corps and other Allied countries. The Official War Review was produced by the Committee on Public Information (CPI), America's propaganda agency. As described in our book American Cinematographers in the Great War, the newsreel had a difficult start. The CPI intended to offer the newsreel to all film companies on equal conditions and the same price. This hardly suited the competitive American film industry which wanted to show exclusive pictures. Pathé finally was contracted to distribute the best of what the CPI could offer to show a weekly official newsreel on the American soldiers fighting in France. By modern standards America's first official war newsreel lacks the fast moving images we are used to watch today. The shots are mostly static and there is little real battlefront footage. But for the American audience back in 1918 this was their weekly update on what happened at the front in Europe. The Pordenone Silent Film Festival in 2015 showed six newsreels from this series, which are from the National Archives in Washington, D.C. These films were originally shown in the American theaters between September 1918 and January 1919. 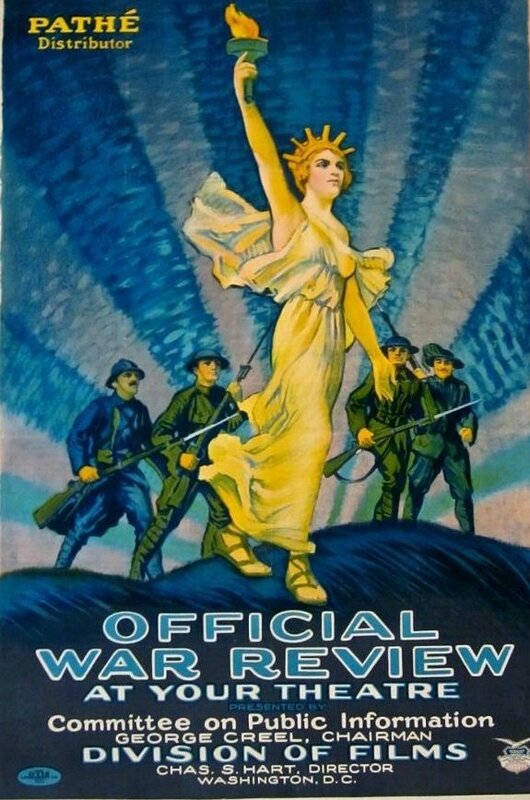 An interesting issue is Official War Review No. 9 which has a scene showing the enormous German long range guns that were put into action to shell Paris during the Spring Offensive of 1918. The intertitle asserts the American forces turned the tide of battle and saved Paris. Apart from the American contribution to the Great War the newsreel offers views of other European armies, such as the Italian Alpine soldiers and the British Expeditionary Force in France. In addition the Official War Review shows some interesting scenes from Siberia where the Americans had joined an international expeditionary force to fight against Germany. Original film from this World War I newsreel is hard to find, so we have uploaded all six issues to our YouTube channel to give you an idea how the Great War was screened in 1918-1919 in America. 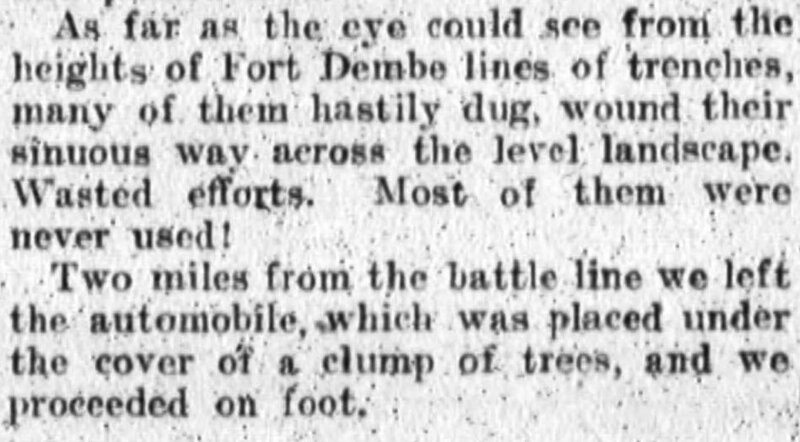 While preparing a TV presentation on Wilbur H. Durborough's World War I film On the Firing Line with the Germans for C-SPAN's "Reel America" we came across an interesting newspaper story by American war correspondent Walter Niebuhr. 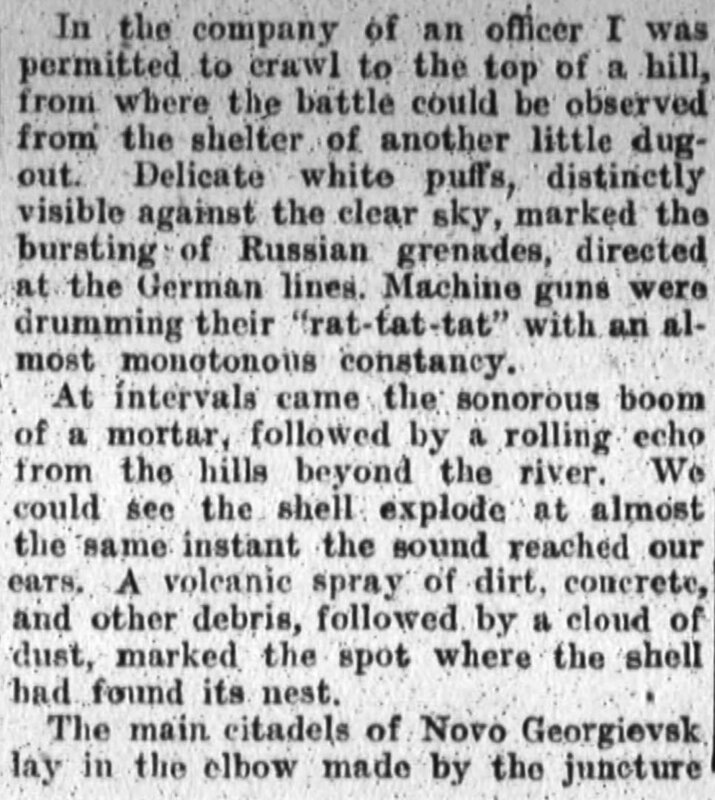 In this report Niebuhr described how he and Durborough witnessed the German attack on the Russian forts of Novo Georgievsk at the Eastern Front. Walter Niebuhr featured before in a previous weblog. He started his career in journalism for the Illinois Courier Herald and in 1915 Niebuhr was invited by the Chicago Tribune and the Western Newspaper Union to cover the Great War from the German side. 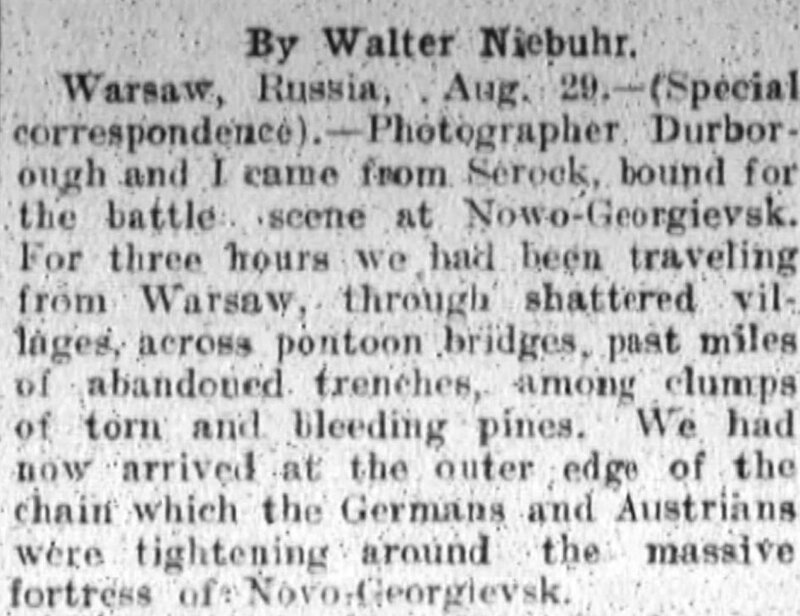 As described in more detail in our book American Cinematographers in the Great War, Niebuhr was of special assistance to Durborough and his camera operator Ries while they were shooting film with the German army. Niebuhr spoke German fluently and often accompanied them, translating conversations with the Germans and helping them find their way through the country. When America entered the First World War, Niebuhr became Associate Director of the C.P.I. Film Division. He was responsible for producing the first official American propaganda films, such as Pershing's Crusaders (1918). 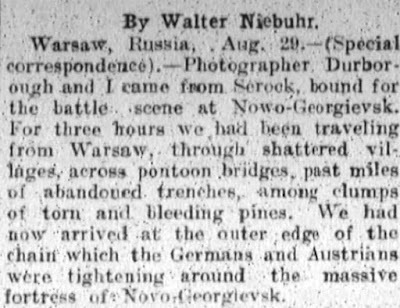 In August 1915, Niebuhr, Durborough and Ries left Warsaw that had just been conquered by the Germans in order to cover the siege of the Russian forts around Novo Georgievsk. The German army led by General Hans von Beseler approached Novo Georgievsk with 80,000 men including part of the powerful siege train used to capture Antwerp in 1914. 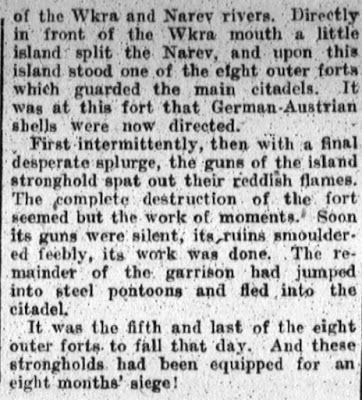 The forts were surrounded on August 10 and the bombardment began a few days later. After a heavy battering the Germans attacked three of the forts and captured two of them. The Russians were forced to the inner defenses north of the river Vistula. 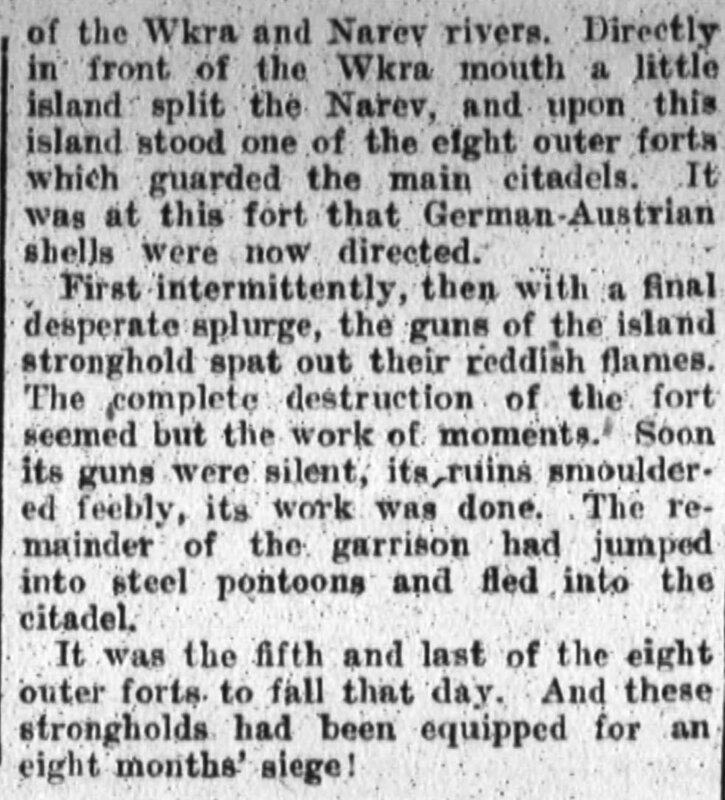 With no prospects of being relieved and with their inner defenses vulnerable to bombardment the Russians surrendered at the dawn of August 20, 1915. On the Firing Line with the Germans has a scene showing both Durborough and Niebuhr watching a German infantry attack near Novo Georgievsk. Troops are charging across an open field while in the background shells are exploding. Niebuhr can be seen in this scene to the right of Durborough. We were able to recognize Walter Niebuhr because of the white cap on his head. Niebuhr appeared in several scenes of Durborough's war film, and most of the time he was wearing this peculiar cap. These shots close to the German firing line must have been taken by Durborough's camera operator Ries and have a full match with the newspaper report that was written by Niebuhr. For more information here is a link to an updated article on Durborough and the making of his World War I feature film. 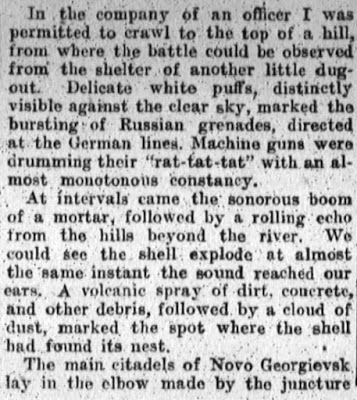 Here is this scene showing the attack on the forts of Novo Georgievsk with comments by authors Cooper Graham and Jim Castellan. 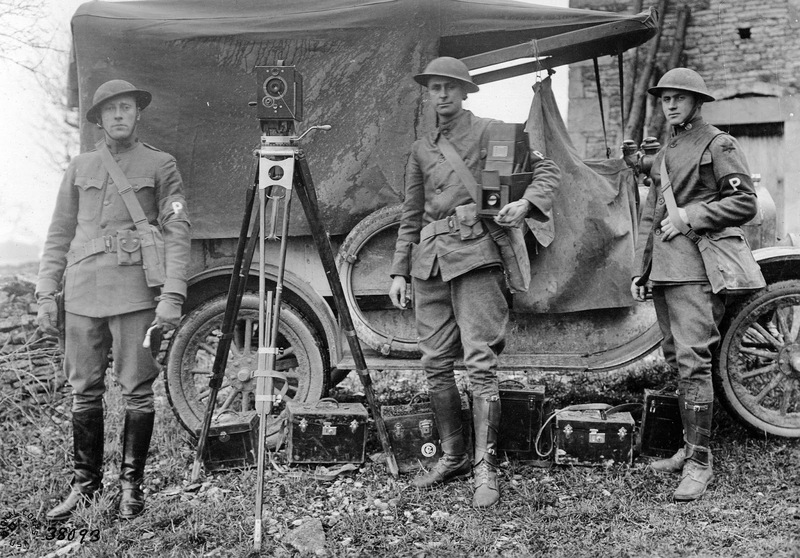 America's first school of Military Photography started during World War I at Columbia University in New York. From January 1918, still photographers and motion picture cameramen were trained for the U.S. Signal Corps that had been assigned to record America's involvement in the First World War. We recently came across an interesting photo collection on the activities at Columbia University where the campus had been transformed into a military training ground for photographers and cinematographers. 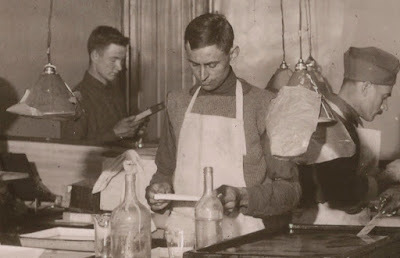 These pictures were taken in 1918 by the U.S. Government for documentary and publicity purposes and are now at the National Archives in Washington, D.C. 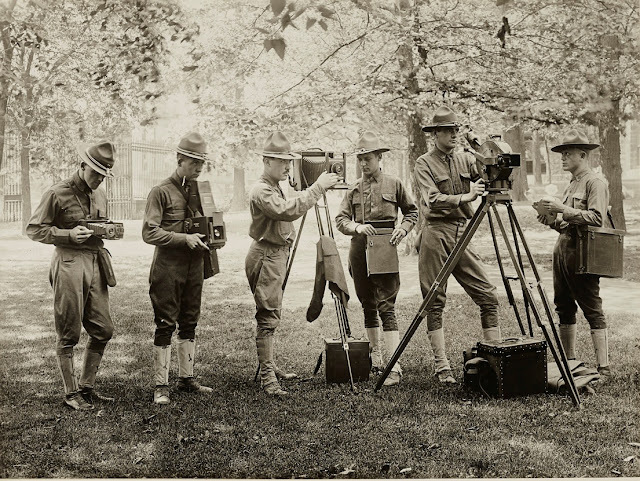 The photographs show how American cameramen were trained for the U.S. Army and provide us with an excellent coverage of all the buildings and facilities at the military school during the First World War. 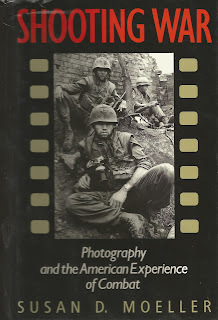 The pictures on the U.S. School of Military Photography at Columbia University are available for download here, including some outstanding pictures that were found by Harry Kidd.